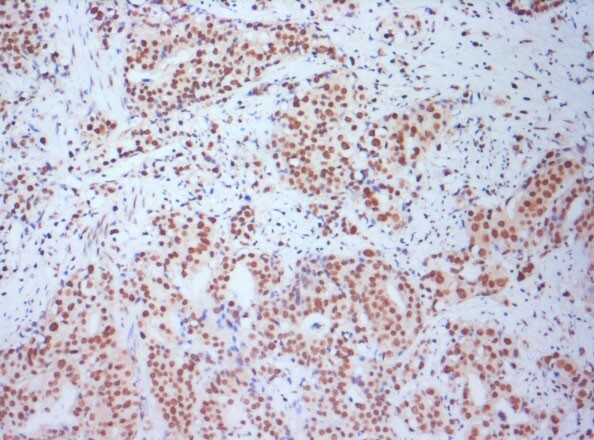 Anti-double-stranded DNA (dsDNA) monoclonal antibody (MAb) is part of a new panel of reagents which recognizes subcellular organelles or compartments of human cells. This MAb recognizes the double-stranded DNA in human cells and may be useful in the identification of these organelles in cells; tissues; and biochemical preparations. It stains the nuclei in cell or tissue preparations and can be used as a nuclear marker in human cells. 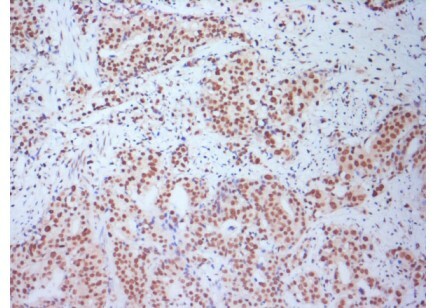 This MAb produces a homogeneous staining pattern in the nucleus of normal and malignant cells. DNA holds the genetic instructions for the development and function of living things. In living organisms; DNA does not usually exist as a single molecule; but instead as a tightly associated pair of molecules in the shape of a right-handed double helix. During replication and transcription; portions of the helix unwind and become single-stranded. Protective proteins surround these single-stranded DNA. Double-stranded DNA markers are useful tools in biology research and aid in the study of DNA behavior and characteristics.